Vastint Poland finalised the agreement for the purchase of development sites of almost one hectare in the center of Katowice. The company wants to erecte there a mixed-use complex. The site is located on Skargi St. and covers the area of more than 9 000 sq. meters. The land which is the subject of the transaction contains the Silesia hotel, closed in 2006. Vastint is planning to demolish the building and construct a modern hotel and office building complex instead. The project is planned to start in 2019. “From the start we knew that the location of the site in the city center dictates certain functional solutions. In the neighborhood, there are a lot of commercial projects but not enough modern offices. The planned hotel of an area of approximately 5 000 sq. meters and two office buildings of an area of 30 000 sq. 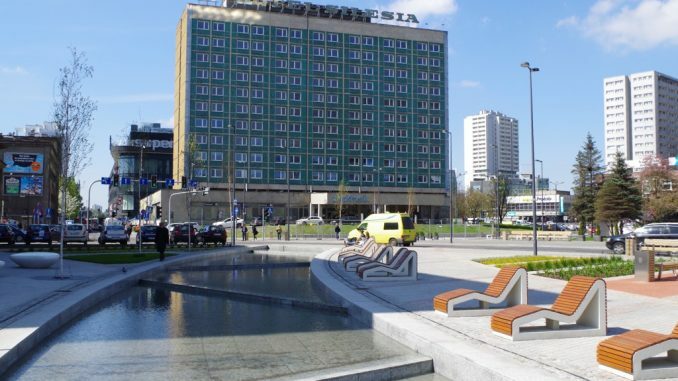 meters will enrich the center of Katowice, which is already attractive for tenants, and make it even more competitive compared to other regional towns” – says Roger Andersson, managing director at Vastint Poland. Projects located in regional towns constitute a significant part of Vastint’s portfolio in Poland. The developer’s plans clearly indicate that its engagement in local markets will continue to grow. Acquisitions of development sites in regional towns, such as the current transaction in Katowice, constitute an element of Vastint’s expansion strategy in Poland. “The demand for modern office space in Katowice has remained at a stable level for several years. More importantly, the town is currently one of the most frequently-chosen locations by modern business support services sector. It has great potential and we have high hopes for further stable development of the company in non-Warsaw markets” – sums up Roger Andersson. The investment scheme on Skargi St. will be the first project of Vastint in Katowice.